A sea captain at the time, Norman Sollid first became a landlord in 1980, when he, his wife, and their growing family moved out of their first home and converted it into a rental property. Though he would spend 20 years renting this house out to long-term tenants, it would be a few more years until he learned the benefits of Alameda corporate housing. After the kids moved out and Norman retired, he and his wife decided that they wanted to split their time between their beautiful lakefront vacation home in the Sierra Nevada Mountains and their original home back in Alameda. In the summers, they would live in the mountains, and they would winter in their bungalow in Alameda where they were closer to the city and all it had to offer. Of course, after so many years of renting this property to tenants, Norman and his wife were accustomed to that rental income. 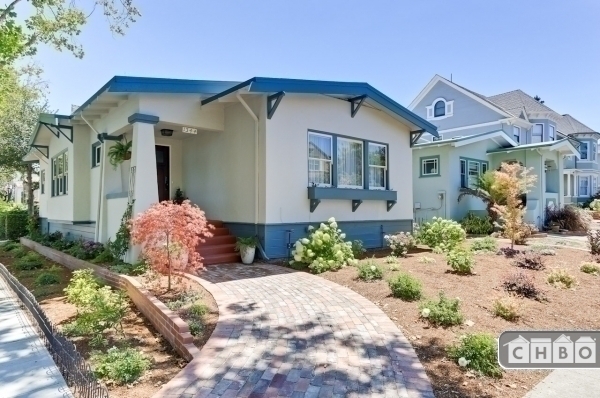 So, after renovating and upgrading their Alameda house, they decided to turn it into an Alameda corporate housing property during the summers when they were not using it. Because it made no sense to move all of their furniture and appliances in and out each season, Norman researched the concept of renting an Alameda furnished home and discovered us at Corporate Housing by Owner. At first, Norman had no idea what to do to find the right tenants for his Alameda corporate housing property, but with help from CHBO, he was on his way. The site made it easy for him to stipulate that he wanted renters to agree to a one-month minimum, and he was able to screen his tenants before agreeing to rent to them, which isn’t always possible with some short-term corporate rental sites. With CHBO’s Platinum Package, including a year-long listing, professional real estate photography, a professionally written listing, and a virtual tour, Norman attracted his first corporate tenant in just 10 days. As for the times when Norman and his wife would normally live in the house? Well, Norman has decided if they have a happy renter living in the house for $4750 per month, why stop making money just because the seasons have changed? The Sollids still visit and occasionally live in their Alameda corporate housing property, but most of the time they have great tenants staying there, so they choose to continue making money instead! You can check out Norman’s furnished Alameda house, or learn about different CHBO advertising packages for Alameda corporate housing. PPD = Pain Per Dollar – Watch Out for the Tax Man! Hang onto a corporate home you don’t want to part with!